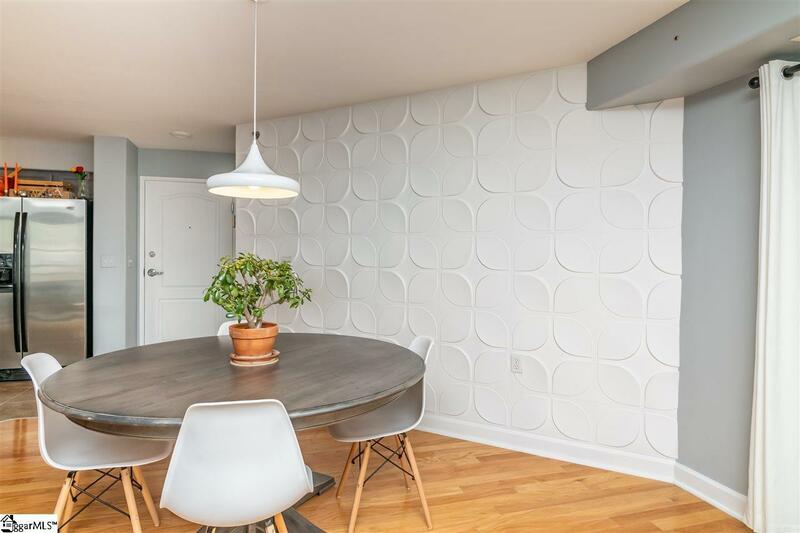 Come see this cant-miss, mid-century modern, two-story condo in downtown Greenville. 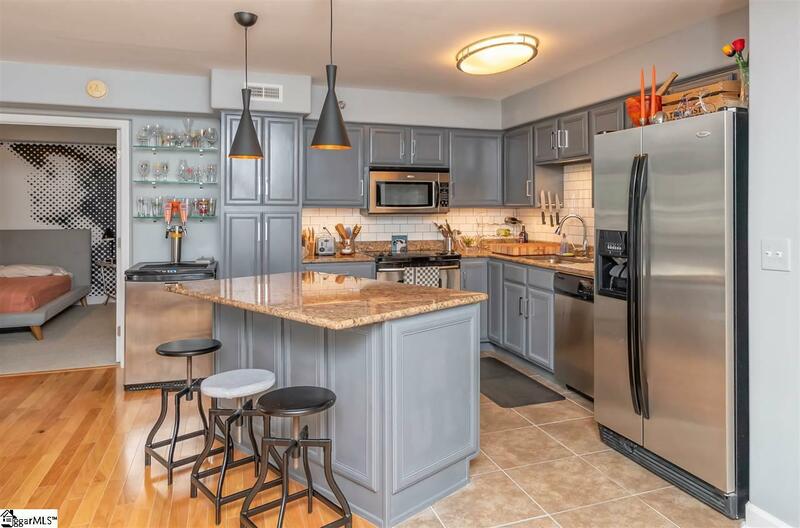 It boasts an open floor plan on the main floor, with granite countertops on the center island in the kitchen, professional appliances, and designer lighting. The main floor has a master bedroom with a tile shower along with a half bath and laundry room/pantry. Unit 306 is the closest unit to the professional quality gym and the saltwater pool that is overlooked by this units balcony. Take a trip down the spiral staircase and check out the built in projector opening that can provide a 105 inch screen on the wall in the living area. 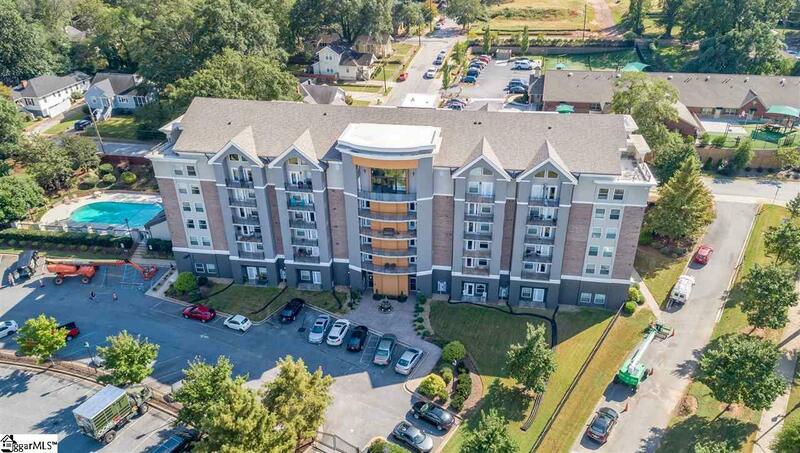 Downstairs you will also find a second master bedroom as well as a second entrance to the unit on the 2nd floor that makes the whole condo handicap accessible thanks to the elevator. Inside the third bedrooms closet you will find another hidden surprise in this one-of-a-kind condo: the open shelving in the back can slide out of the way and open up to your personal workshop or extra storageINSIDE YOUR CONDO!! This unit has two separate, high-efficiency HVAC units that have led to a 12 power bill average below $70 per month. HOA fees cover water supply, trash, recycling, all cleaning and maintenance of common elements, and access to the fitness center and pool. Along with all of these amazing features you will also have 3 parking spaces inside the gated section of the parking lot, 2 separate storage areas (one on the second floor for nearby convenience and one on the first floor perfect for bike/garage storage), and 1 amazing home to share with your friends and family. Theres so much happening outside the Brio to add to everything else that this unit has to offer inside! This corridor of downtown is growing quickly including the upcoming $1 Billion renovation of County Square. Just down the street you can find tons of great food at Sidewall Pizza, Biscuit Head, Toss Pizza, Farm Fresh Fast, and more before heading to the brand new Cancer Survivors Park, Falls Park, and down the Swamp Rabbit Trail straight into the heart of gorgeous downtown Greenville before you know it. 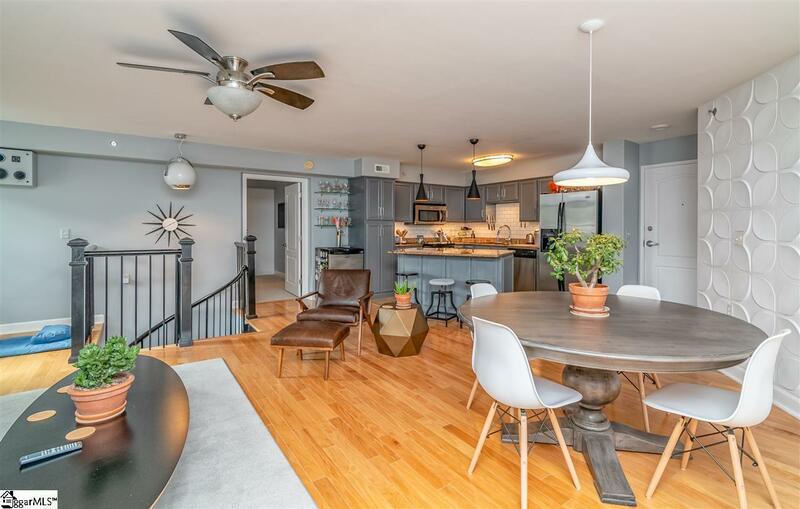 Do not miss out on this unbelievable downtown condo that gives you all of the features of a 3 bedroom, 2.5 bath house with all the convenience and amenities that the beautiful Brio has to offer.